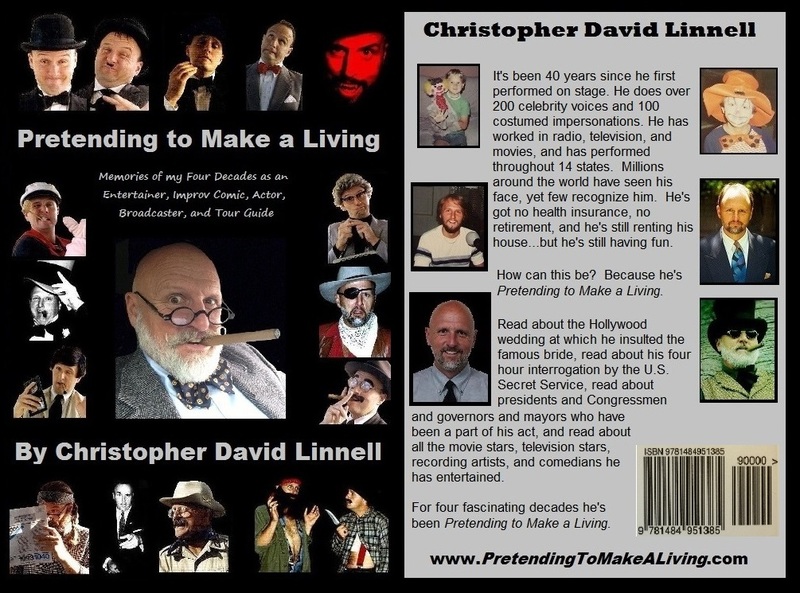 You’ve reached the website of Christopher Linnell, an entertainer, actor, voice artist, author, photographer, and tour guide. Included on this site are pages about his entertainment services, called “Christopher & Co., Celebrity Impersonations,” in addition to his tour services, called “On the Road with Christopher,” and about specific writing projects, such as his original spec screenplay, Hell in Heaven, and his professional memoir, Pretending to Make a Living. As a professional entertainer, Christopher specializes in celebrity impersonations, including more than 200 celebrity voices and 100 costumed impersonations. He performs corporate comedy at staff meetings, OSHA safety meetings, national sales meetings, and conventions and trade shows, as well as promotions, special events, and parties. Christopher first entertained as a child, using magic, puppetry, and ventriloquism. He began doing stand-up at age 9, entertaining professionally at just 13, and started working in radio at age 15 as an air personality, news writer and announcer, and as a commercial writer, producer, and voice artist, and as a live program host on remote broadcasts. He later joined SAG and AFTRA and worked in union productions, including industrial films, commercials, television programs, and feature films. 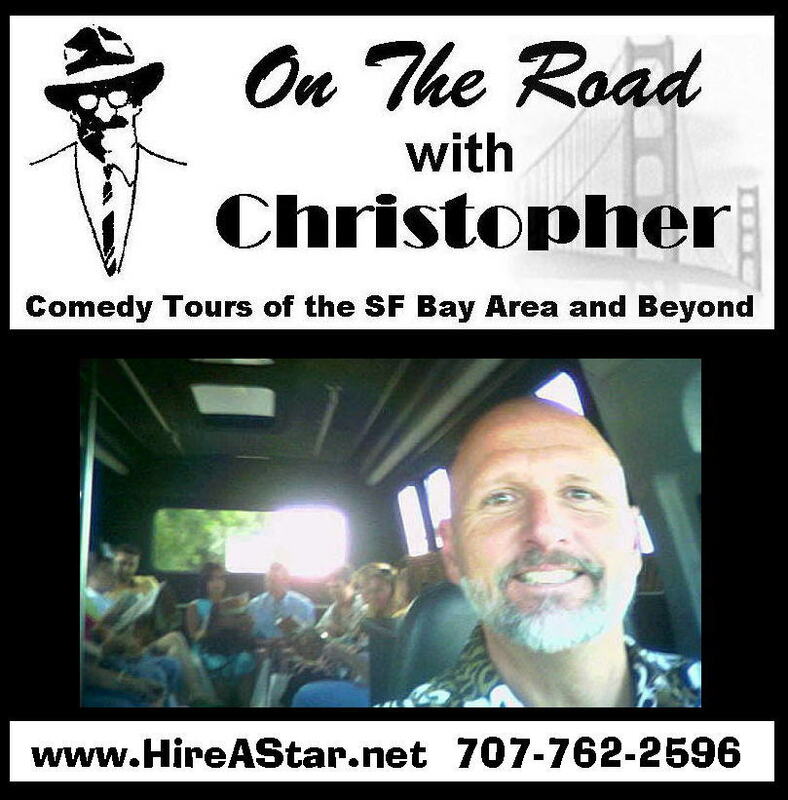 “On the Road with Christopher” is his tour service, offering entertaining customized tours of Yosemite, San Francisco, the SF Presidio, and the Wine Country. 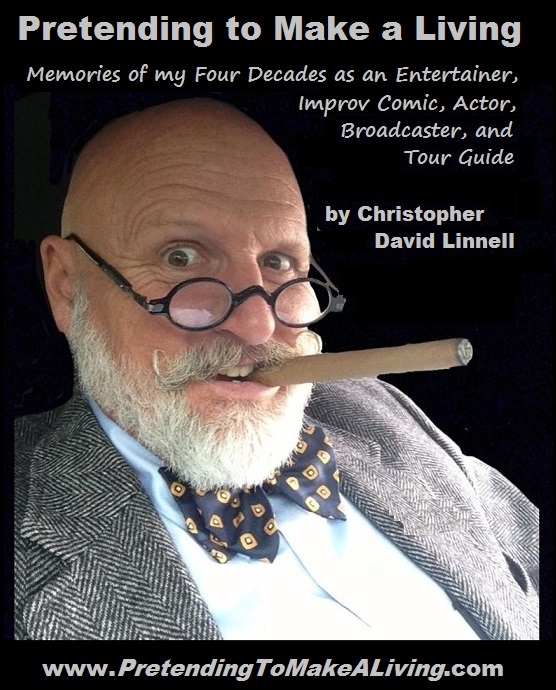 Since 2001 Christopher Linnell has driven sedan, stretch, van, limobus, minibus, motorized cable car, and amphibious DUKW tours of Yosemite, Muir Woods, Marin, San Francisco, and The Wine Country, including Napa, Sonoma, The Russian River, and the Dry Creek & Alexander Valleys. In fact, from 2007-2010 Cable Car Christopher drove and narrated well over 2200 San Francisco city tours on motorized cable cars (three daily two hour tours) and, on a completely different route, DUKWs (three to five daily ninety minute tours), plus, on another entirely different route, an additional one hundred or more ninety minute holiday light tours in December of 2007, 2008, and 2009, and in Sonoma in 2010, 2011, and 2012. These tours were scripted and improvised entirely by Christopher himself. Call Christopher for details or to book a tour: 707-762-2596. Christopher has been employed part-time and/or worked on assignment and/or volunteered as a reporter, photographer, feature writer, and/or columnist for the following publications: Petaluma Argus Courier, Sonoma Business Magazine, Petaluma Post, The Slant, We The People, and The East Bay Alternative, as well as for a 900+ member hiking club he founded. 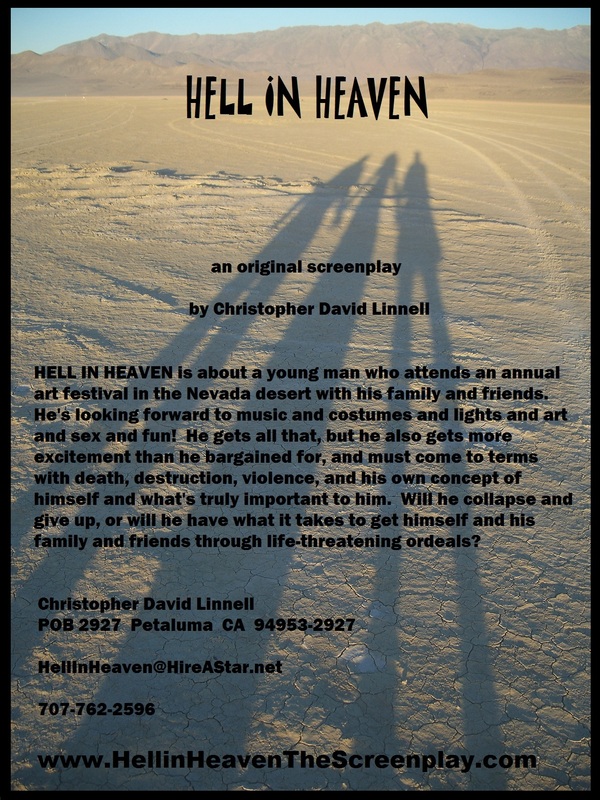 An actor for decades, in 2010 Christopher began working from the other end of the business, completing his first original screenplay, “Hell in Heaven,” which is awaiting production, and is described below. He is currently completing his memoirs. 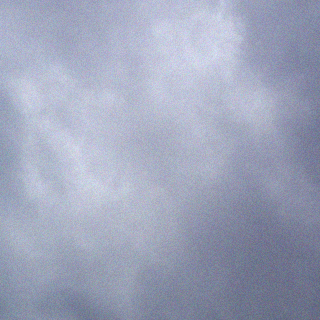 HELL IN HEAVEN, an original screenplay is a paperback, 115 pages long, and reads in about 3 hours. The price is $15, and copies can be purchased at: https://www.createspace.com/4200730.